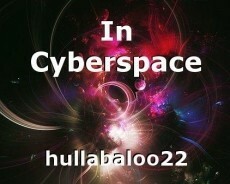 Anything can happen in cyberspace. there are so many different things with you I then will share. take our imaginations on a trip to see what we’ll fit in it. me, I’m kind of lacking so I’ll just be being me. and there’s one thing I can tell you, it will all be fine. they’ll drift off in the atmosphere and will not linger there. and it will be harmonious, free from any strife. and just for once have so much fun without us getting tired. until the cyberspace shuts down and sets us in a whirl. but nothing will erase the memories of our cybernetic time. Thanks for taking the time to read and comment, Tom! Thank, Hully, and I feel the same!